Discussion in 'The Bar' started by BrulesRules, Jul 22, 2013.
have you ever had a pipe burst? I never have, no. Pretty amazing with all the older houses I've lived in. @Mike Chipotle was good, no roadies in line but there were a couple K-9 Cops and a few day laborers. @whatsit an artsy fartsy shot I took. J Hi, basketcase and Johnnykstaint like this. Might do Texas De Brazil instead of Melting Pot this year. whatsit and Johnnykstaint like this. Why not do a Virginia de Occoquan instead? 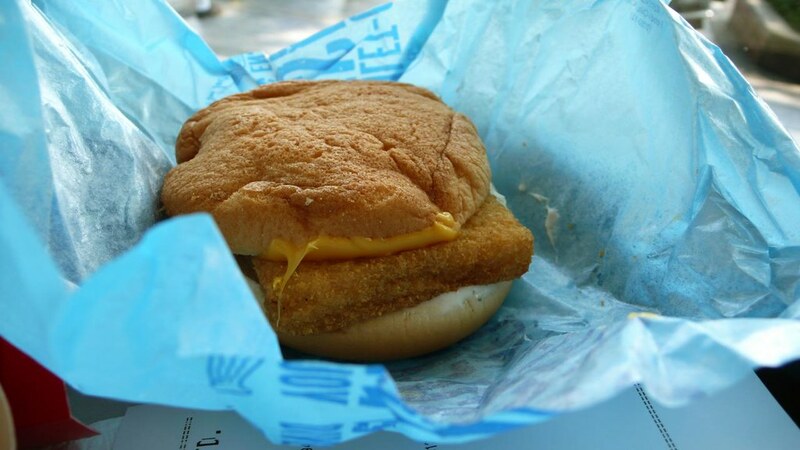 How'bout a Filet O Fish? There are no good restaurants in Occoquan. There are several 7/11's with 4 star roller grill offerings. She can enjoy a melody of tubular meat products accompanied with dipping sauces and condiments of her choice. Rounding out the entree is a large selection flavored chips to select from. All this can be enjoyed with a cold beverage from the cooler. I have analysed GoT to death and I still haven't decided on an ending. Daenery will win. In today's environment there would be a significant backlash against the show if she doesn't. Sam is going to come up with some way to stop the White Walkers. how about we just come over and have your wife make us turkey sandwiches? You'll need reservations. Jacket & tie required. Can I reserve through opentable.com? We were almost going to go to that restaurant based on Smyth County, VA but it was pretty pricey and I just paid off Christmas. The roadies work at moe’s. I haven’t had lunch yet cause someone brought an extra breakfast. Gonna go in a couple minutes. BrulesRules and Johnnykstaint like this. I mostly want to take pics of food to share here, not on social media. Sorry Chief, I have decided we are going to Cooper's Hawk Winery and Restaurant for our valentine's day dinner. IfTheyOnlyKnew and Johnnykstaint like this.